Learn the art and science of hair design. Prepare for a creative & rewarding future as a trusted Cosmetologist. Blend old school traditions and modern techniques to provide professional barber services. Learn a wide range of skin-care and spa services to help clients put their best face forward. Learn the skills to provide manicures, pedicures and other natural and synthetic nail services. Open up opportunities and provide all-around esthetics and nail services. Learn to become a trusted Massage Therapist and help others to live well. The Cosmetology Advanced Course can provide the practical business and leadership skills it takes to move toward the future. For more than 50 years, Raphael’s School of Beauty has sought to provide excellent professional education in the beauty industry in Ohio. 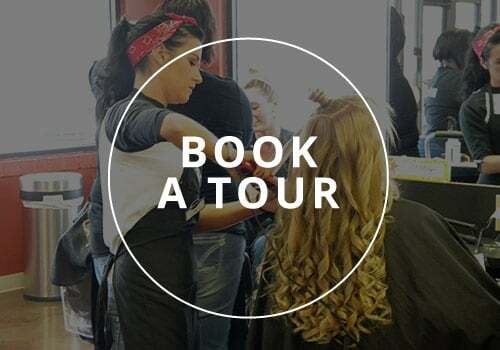 Our family-owned school has built an excellent reputation among salons by consistently providing passionate individuals with high quality training. A Student First Philosophy which means we invest in our school in ways that deliver the student value; like upgrading equipment, new computers and textbooks, and ensuring our facilities are clean and maintained. Professional Student Salon. We want our students to have experience with the best equipment used in today's esthetician shops, barber shops, and salons. By submitting this form, you are giving your express written consent for Raphael’s School of Beauty Culture to contact you regarding our programs and services using email, telephone or text - including our use of automated technology for calls and periodic texts to any wireless number you provide. Message and data rates may apply. This consent is not required to purchase goods/services and you may always call us directly at 330-565-3666.